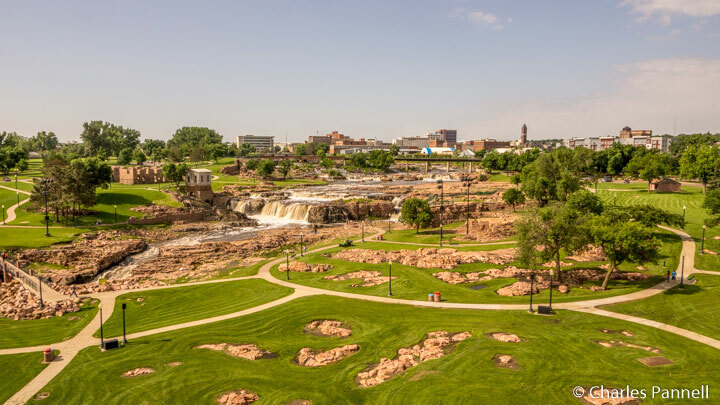 Although often confused with Sioux City, Sioux Falls has a definite personality all its own. Even though this South Dakota city boasts twice the population of the Iowa town, it still retains a distinctly Midwestern small town charm. Add in a sizable public art collection, a walkable historic district, and the scenic beauty of the falls, and you have all the ingredients for a fun weekend getaway. Even better — a visit to Sioux Falls won’t cost you an arm and a leg. So pack your bags and get ready to enjoy these affordable and accessible Sioux Falls attractions. For a panoramic view of the namesake falls, stop in at the Visitor Information Center in Falls Park. Not only does the visitor center have a full stock of free maps and brochures, but there’s also barrier-free access to an elevator that takes visitors up to the fifth-floor viewing platform. Outside, paved level pathways lead around the historic buildings and over to the cascading falls in the 123-acre park. And for a money saving lunch, pack along a picnic and enjoy it in the park. Park your car for free at the Visitor information Center and hop on the downtown trolley to explore Sioux Falls. An all-day pass can be had for a very reasonable $1 fare, and the trolley stops at or near most downtown attractions. Access is good on the trolley too, with a wheelchair lift and four sets of tie-downs. 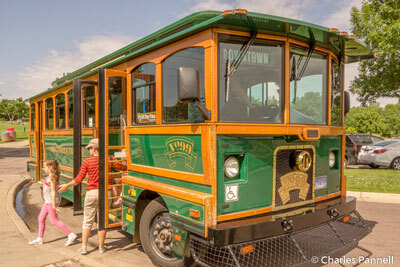 Plan ahead though, as the trolley only operates on Monday through Saturday, from Memorial Day to Labor Day. For a glimpse into the past, stop in at the Pettigrew Home and Museum (www.siouxlandmuseums.com), located at Duluth Avenue and 8th Street. 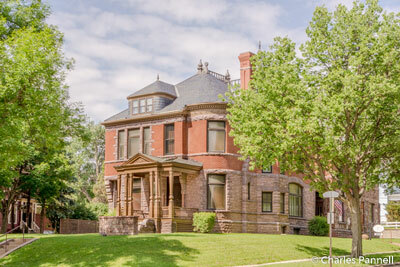 Although this 1889 Queen Anne house is just five blocks from the trolley stop, it’s best to drive, as it’s an uphill walk. Accessible parking is available next to the ramped back entrance. Inside, there’s good wheelchair access throughout the mansion, accessible restrooms on the first floor, and elevator access to the second floor. The home is furnished with period pieces, and adorned with cultural objects that the former resident acquired in his travels as an amateur archaeologist. Best of all — there’s no charge for a guided tour of the mansion. 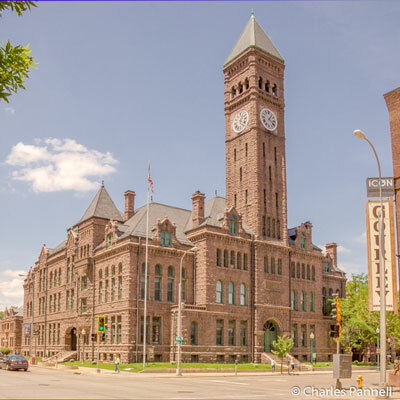 For a good primer on regional history, stop in at the Old Courthouse Museum (www.siouxlandmuseums.com/ …exhibits.asp) at 6th Street and Main Avenue. Accessible parking is available in the rear, near Freedom Plaza. Access features of the building include a ramped entry, accessible restrooms and elevator access to all floors. A loaner wheelchair is also available at the front desk. The exquisitely restored 1800s quartzite building is a treasure in itself, with wood floors, hand-painted murals and handcrafted wainscoting. Free self-guided tours are available to exhibits that include everything from an 1888 Norwegian style loom, to a wicker wheelchair made by the Gendron Wheel Company in 1900. And once you leave the building, step back and admire the iconic 1892 clock tower. Last but not least, take a stroll down Phillips Avenue and enjoy the large collection of public art on the Downtown Sculpture Walk (sculpturewalksiouxfalls.com). Every year local artists loan their best works to city, and visitors vote for their favorite piece. The city then purchases the winning piece and adds it to their growing collection. Although the sculptures are displayed in several sections of the city, the largest and most accessible collection is on Phillips Avenue, between 8th and 13th Streets. There are wide level sidewalks and curb-cuts at every corner along the route, and if you get tired you can always stop in at a cafe along the way. Top off your sculpture walk with a visit to the Museum of Visual Materials (sfmvm.com), located at Main Avenue and 5th Street. There’s level access to this historic building, and inside you’ll find more works from local artists. And like the best things in life, admission to the gallery is free. 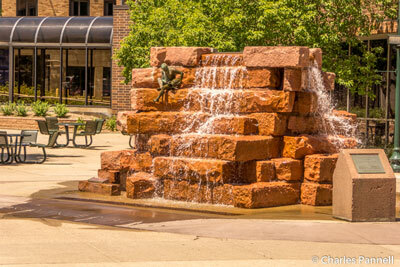 For more information about other attractions, lodgings and restaurants in Sioux Falls, visit visitsiouxfalls.com.